The Plains of Abraham is an important visitor site and also a great place for a run. 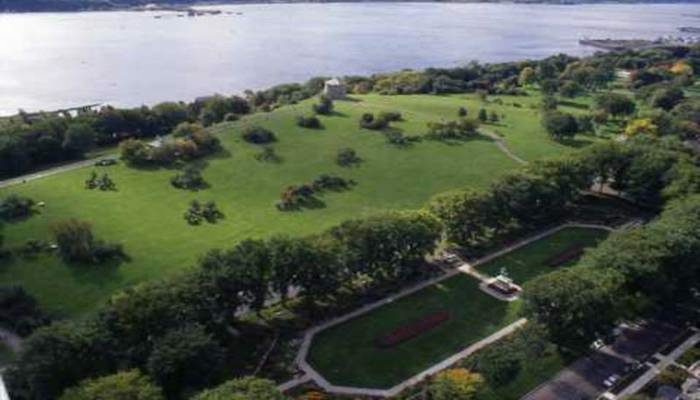 The site of many clashes for supremacy between the French and British Empires, the park is the scene of the 1759 Conquest, which changed the fate of North America. 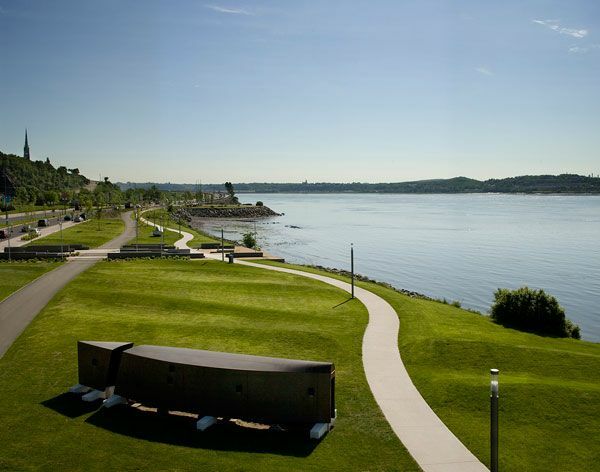 It is one of Canada’s most important historical parks and an important city park for Quebec. There are gardens in summer and an ice rink in winter. At about 250 acres, there are paths crisscrossing the park, and a bike path along the cliff at the end closest to the river, with great views of the water. It is 2 km from one end of the park to the other, or a little over 4 km (2.6 miles) for a loop. We’ve created a 5.8 km (3.7 mile) run incorporating La Citadelle, which adds some hills! For a longer run, continue for ~1km west to the Parc de Bois du Coulonge, which has lovely gardens. One can continue even further: it’s ~1.5 km (1 mile) from the Parc to the Église Saint-Michel de Sillery, and then another ~1.5 km (1 mile) to the end of the Promenade Samuel de Champlain.